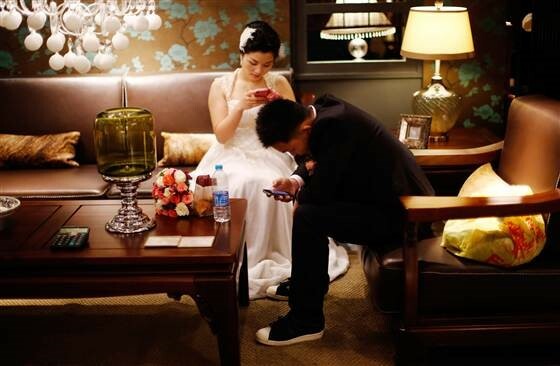 #toomuch – Social Media Concierge for your wedding? This story came up in my news feed this morning and I actually thought it wasn’t a real story, but after clicking through and reading it is new service that is being offered by the W Hotels in New York. For $3000 you can have someone from the hotel manage the social media for your wedding, they will live tweet the ceremony, create Vine and Instagram videos and post to your Facebook. They will also provide you with a curated #hashtag for your event so that your guests can make their social media contributions of the event as well.Finally at the end of the night you will be presented with a Shutterfly book that includes highlights from your social media imprint which includes a collage of the top tweets and Instagram photos. Are we going too far with wanting every aspect of our lives being posted to a social media site? What has happened to a bit of privacy on your wedding? My thoughts are that we are becoming too much of a narcissistic society that defines ourselves by how many likes, retweets and comments we receive about any aspect of our lives. I have no problem with documenting your special day given that the day moves by so quickly and you won’t be able to experience or remember what took place, but putting it out there to the mass I am not entirely comfortable. The past few weddings I have worked, the bride and grooms have made a special announcement asking their guests to refrain from posting any photos or videos of the wedding on any social media platform until the bride and groom have done so. I find this a very interesting and easy way to gain control of your digital imprint. Having a social media concierge is #toomuch but that is just my opinion, what do you think? Are they necessary in today’s world?